Renowned for its rustic-luxe dining experience since 1999, Tamarind Hill offers an indulgent, epicurean getaway in the heart of Kuala Lumpur. Tamarind Hill has made a name for itself as one of the finest Thai and Burmese restaurants in the city, and has garnered numerous awards throughout its years. Drawing inspiration from nature and the local culture, Tamarind Hill is defined by its tranquil and welcoming ambience, and creates an illusion of being away from the city. Through its illustrious years, the restaurant has always strived to uphold its culinary philosophy of delivering a unique experience, realised through offering warm but unintrusive service, and authentic dishes prepared from scratch. 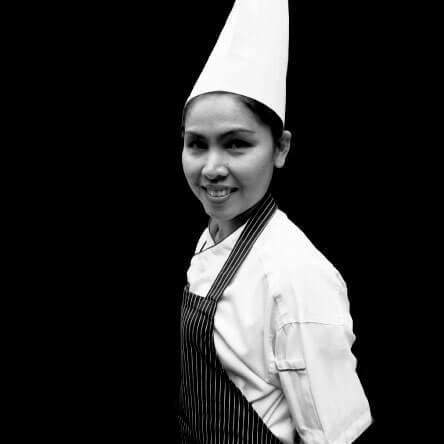 Its culinary team is helmed by Chef Phiyun Thongyun, who is affectionately known as Chef Yun. Hailling from the Northern parts of Thailand, she speaks fluent Laotian and has spent her childhood preparing and dining on food foraged from their surrounding jungles and rivers, and shares a deep relationship with the land. At Tamarind Hill, she infuses her special brand of flavours into the menu, marrying traditional Thai flavours with ingredients from other cuisines. The result is delectable, with signatures such as Duck and Lychee Salad, Cod with Dry Red Curry, and River Lobster in Tamarind Hill Spicy Sauce. For last minute reservations, please contact us directly at +603 2148 3200. For group booking, special events, or private function, please fill up the form below or contact our event specialists at +603 2280 0501 (extension 105).